AMICO recently won four distinguished awards at the American Security Today’s 2017 ‘ASTORS’ Homeland Awards presentation luncheon at ISC East. 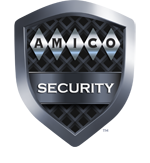 AMICO Security announced that its ANC Fence System has received an M5.0 security rating in compliance with the ASTM F22781-10 standard, which is used to test the forced entry resistance of security fence systems, an important designation for the military, the U.S. Department of Homeland Security, industrial businesses and utilities. AMICO’s Security division recently had the pleasure of hosting our friends from Homeland Security. AMICO Security — protecting America’s borders and vital infrastructure. AMICO Security is happy to announce our partnership with one of the most high–tech companies in the defense and radar surveillance and detection industries, Dynetics. Two great American companies working together to protect our borders and vital infrastructure. AMICO Security has announced its AMIGUARD system, considered one of the most secure and cost–effective border solutions available on the market, is expected to play a large role in President Donald Trump’s plan to build a border wall between the United States and Mexico.